We have laid the groundwork for Fast Forward. Read about the progress we’ve made and what’s to come. Over the next year, we’re taking a holistic, blank-slate approach and looking at Bronx bus service from a fresh perspective. We’re launching a quarterly customer satisfaction survey. Let us know about your experiences with New York City Transit and become eligible for free rides. "What is needed isn’t mere tinkering, a few tweaks here and there. 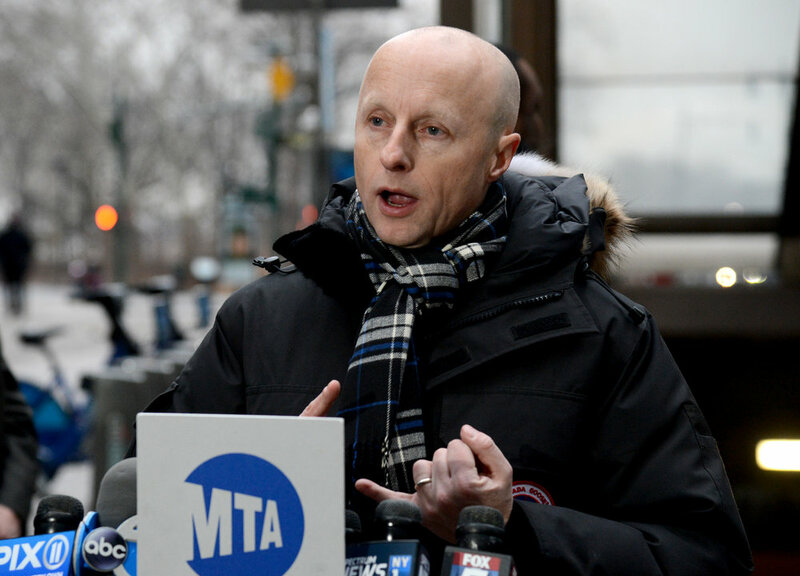 What must happen is sustained investment on a massive scale if we are to deliver New Yorkers the service they deserve and the transit system this city and state need." Here's what we can accomplish over the first five years: upgraded CBTC signal systems on 5 new lines, more than 50 new accessible stations, state of good repair work at more than 150 stations, redesigned bus routes across the 5 boroughs and more. We will deliver on four equal priorities by grounding everything we do in our foundations of Agility & Accountability, Safety, Security & Resiliency, and Customer Service & Communication. We propose doing in 10 years what was previously scheduled to take more than 40, including major progress in the first 5 years. This means lines that are currently capacity-constrained will be able to carry more people, more smoothly, and reliably.